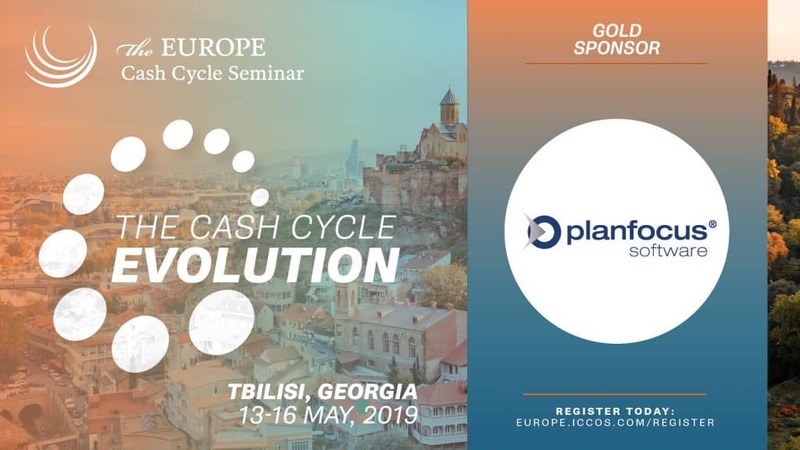 The ​Cash ​Cycle ​Seminar ​(ICCOS) ​is ​the ​premier ​global ​seminar ​for ​commercial ​cash ​management, ​distribution ​and ​circulation. ​It ​is ​a ​unique ​event ​focused ​on ​bringing ​together ​all ​the ​stakeholders ​in ​cash ​circulation ​to ​share ​perspectives, ​ideas, ​cost ​saving ​technologies, ​strategies, ​best ​practices ​and ​case ​studies. ​The ​educational ​Plenary ​Sessions ​are ​where ​the ​delegates ​share ​their ​experiences ​and ​knowledge ​base, ​peer ​to ​peer. ​An ​exhibition ​area ​featuring ​our ​Sponsors’ ​latest ​technology ​and ​services ​is ​open ​throughout ​the ​seminar ​and ​Sponsors ​also ​conduct ​focused ​breakout ​meetings ​to ​share ​further ​details ​on ​their ​leading ​solutions ​for ​the ​industry. REGISTER NOW! We’re looking forward to see you there, come visit us at our booth or be part of our Innovation Breakout Sessions! In the highly cost-sensitive field of cash operations, with increasing CIT costs and significant central bank interest rates outside the Euro zone, managing cash servicing and inventories efficiently becomes imperative. Market statistics shows that standard statistics tools are not able to cut down on cash holdings significantly without creating costs elsewhere or violate availability SLAs. In this session we will introduce our Next Generation approach to Cash Cycle Optimization and explain why integration across ATMs, branches, vaults, and CiT is critical to achieve best-in-class results. This breakout will showcase how just-in-time cash service scheduling through automatic forecasting and planning, based on Artificial Intelligence exactly to demand can transform your cash cycle management. In a world of increased digitization, with diverse actors collaborating across the cash supply chain, where cash holdings in the supply chain are a major cost factor, while transportation is becoming more dynamic, financial institutions and other market participants are in urgent need to adopt new technologies to create visibility across the cash supply chains — both to see current holdings and ongoing activities. This enables all market participants to automate collaboration through electronic interfaces, such as the ones standardized via GS1. This breakout showcases leading central banks’ approaches for cash visibility, how other market participants can collaborate and what the overall benefits will be.